Have you ever chosen a body scrub because the coconut aroma reminds you of happy, sunny days at the beach? Or purchased a moisturiser laced with lavender designed to relax and soothe away the troubles of the day? If you’ve ever opened a jar to smell the contents of a skincare product before applying, you’re certainly not alone. The way a scent makes us feel – or makes us believe what the scent can do for us – contributes to the $2.4 billion a year skin care industry in Australia. The consumers’ emotional and functional association with the scent of their skincare is a marketer’s dream. Which might be OK, if fragrance used in skincare wasn’t causing and intensifying skin sensitivity and harming our health in the process. Why do we have fragrant products? There are only two reasons fragrances are added to products, and neither of them improves how well a product works on the skin. Firstly, fragrance is added to stimulate an emotional response in the consumer (therefore making you more likely to purchase). Secondly, fragrance or perfume is added to cover up the nasty smells of synthetics used to create moisturisers and other skincare products. What’s so bad about fragrance? While appealing to our senses, the word ‘fragrance’ or ‘perfume’ labelled as an ingredient on a bottle can potentially contain a myriad of poisonous, carcinogenic chemicals including parabens and phthalates. With prolonged use, these toxins have the potential to seriously harm the skin. Perhaps more significantly, ingredients used to create synthetic fragrance can also damage health leading to cancer, hormone imbalances and chronic skin conditions such as eczema. You can read more about those ingredients here. Just as cancer can grow without you knowing anything about it, sensitivity to fragrance can harm delicate skin cells at their deeper layer without displaying a single sign. 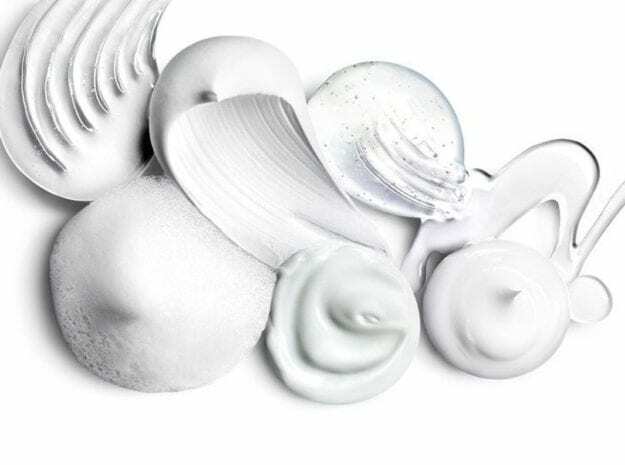 As time passes, ongoing exposure to such irritants can place more stress on skin cells potentially causing skin allergies and chronic skin conditions such as eczema and dermatitis. Not only does fragrance irritate existing skin conditions, but it can also be the primary cause of the skin condition in the first place. The harsh reality is that if you regularly apply fragrance directly to your skin, you risk intensifying existing skin conditions or causing sensitive skin in the future. Even skincare that contains ‘natural scent’ or ‘essential oils’ can stimulate an angry reaction just as synthetics can. With this new information under your belt, it might seem wise to opt for unscented products, right? And this is where lack of regulation in the skincare industry is tying consumers up in knots and potentially harming their health. Unscented: Unscented products can still contain the toxic ingredients that create a smell, but the ‘scent’ may have been neutralised to make the product appear like it doesn’t have a smell. Fragrance-free: A fragrance-free product can have a smell. While nothing has been added to make it smell, it may still have an aroma from the natural ingredients, but it’s unlikely to contain the phthalates that cause the sensitised skin. If your skin doesn’t react to fragranced skin products, it doesn’t change the fact that all fragrances – synthetic and natural – are known irritants that can damage healthy skin cells and may lead to an allergy or sensitised skin in future. Biologi serums have been extracted from their botanical source using a revolutionary extraction method which keeps the potent phyto actives stable eliminating the need for synthetic activating agents. Biologi is the world’s first single-plant ingredient skincare product that works on the skin just as it does in the plant. Our serums are all fragrance-free although you may notice an aroma from the natural plant extracts. If you experience sensitised skin or chronic skin conditions such as eczema or dermatitis, avoid further irritation by using products without fragrance to help repair the damaged dermal layer. Trust us; your skin will thank you for it! Click here to buy Biologi today.